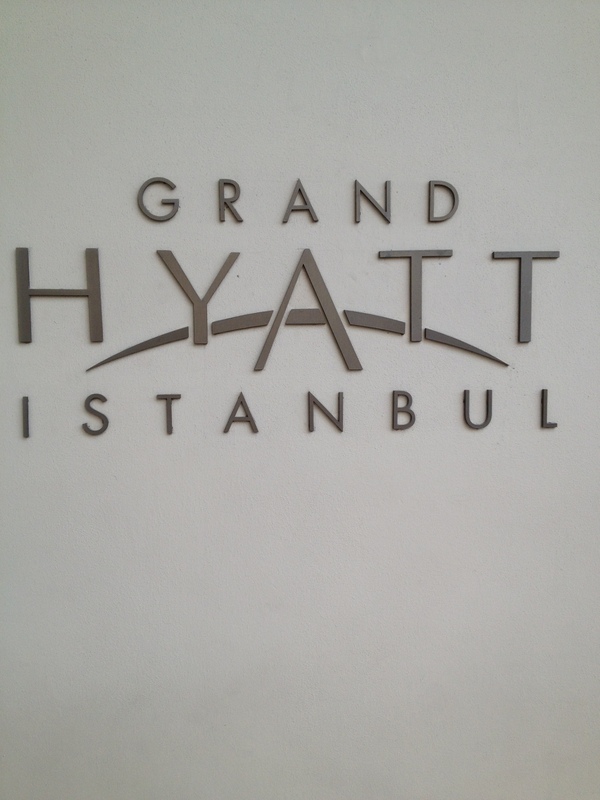 When choosing a place for our stay in Istanbul, I had the option of either the Park Hyatt or the Grand Hyatt. Although the Park Hyatt receives wonderful reviews, and I thought it would be fun to have a personal steam room in the bathroom, I chose the Grand Hyatt primarily because of its location and closer proximity to the sights we wanted to visit as well as the Metro station. Had we stayed at the Park Hyatt, we would have been more dependent upon taxi service rather than having the convenience of public transport. 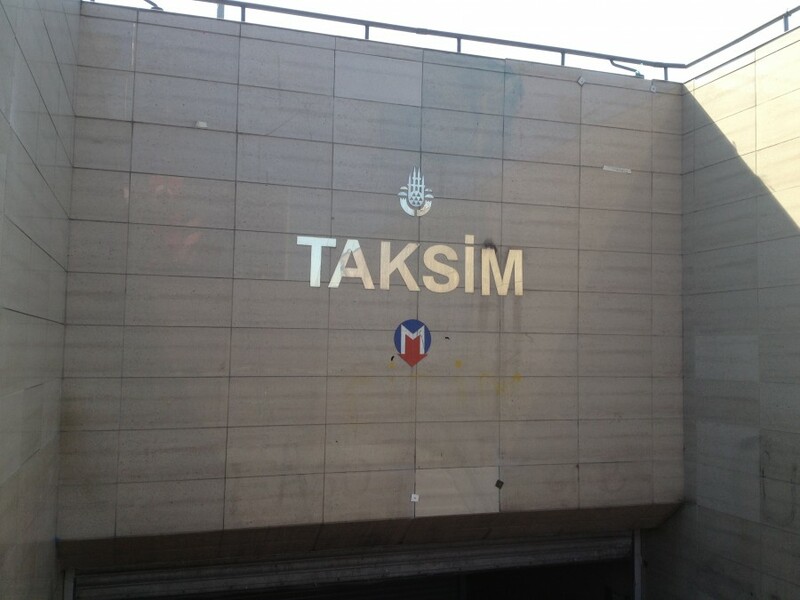 The Metro station at Taksim Square is only a five minute walk from the Grand Hyatt. 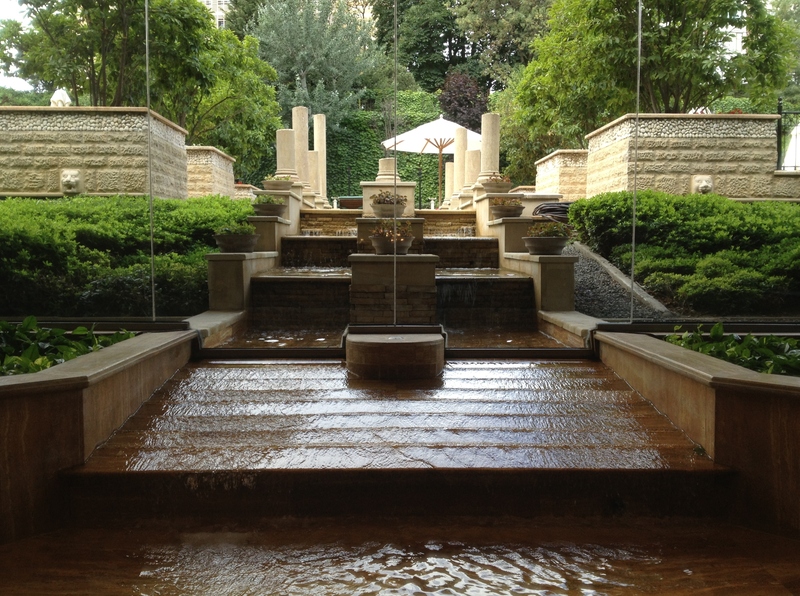 The Grand Hyatt Istanbul is a lovely property and, at one time, used to be a Hyatt Regency. From the outside it still has that Regency feel, but the interior and décor of the hotel speaks otherwise. The lobby is large and luxurious with a wide spiral staircase leads up to a piano bar which overlooks the gardens and pool. On the Mezzanine level there is also a tranquility pool and seating area for those times when you just might want to sit and rest for a while. Arriving at the hotel, we experienced one minor hiccup. The front desk had us arriving on the next day but showing them the confirmation emails and a few taps on the keyboard soon had that cleared up. In addition to the suite upgrade, for which I had applied one of my confirmed Hyatt upgrades, we were also given access to the Club Lounge on the eighth floor. 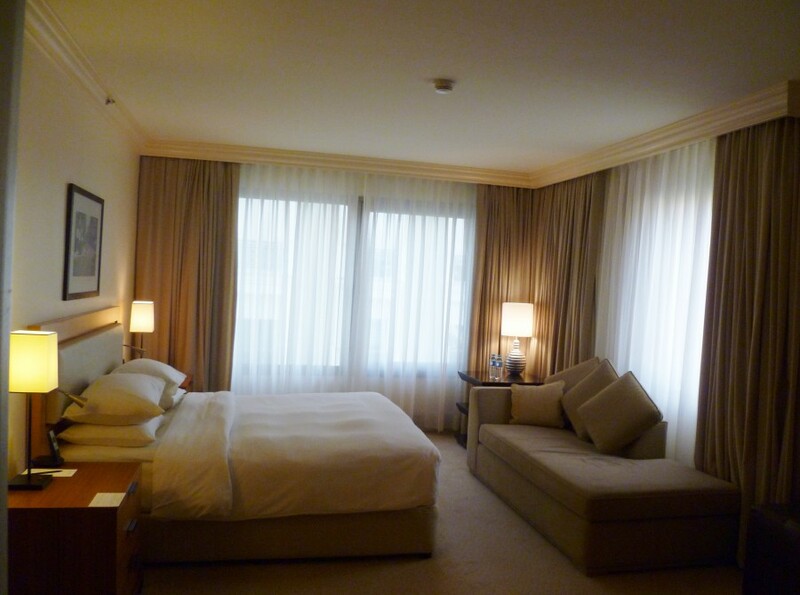 The bellman escorted us to our rooms which was a lovely corner Grand King Suite on the sixth floor. All floors above six require the use of the room key card for access. Our room was on the far removed side from Gezi Park and the construction on the street so our stay was quiet the entire time. 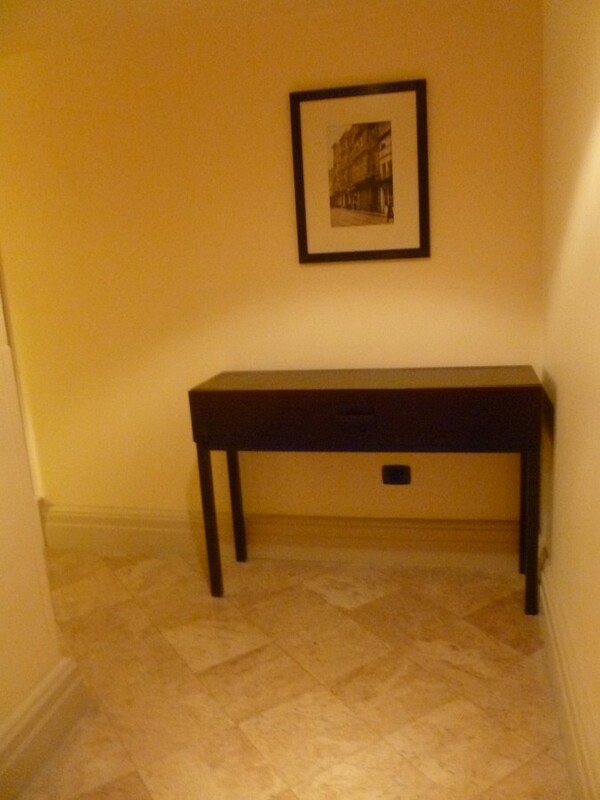 The suite had a lovely entry way with beautiful marble floors. Turning left and passing a half bath, we entered the living area which contained a long, comfortable sofa which could serve as an extra bed if necessary; a 42 inch LCD television; separate desk and work area; and a dining table and four chairs. 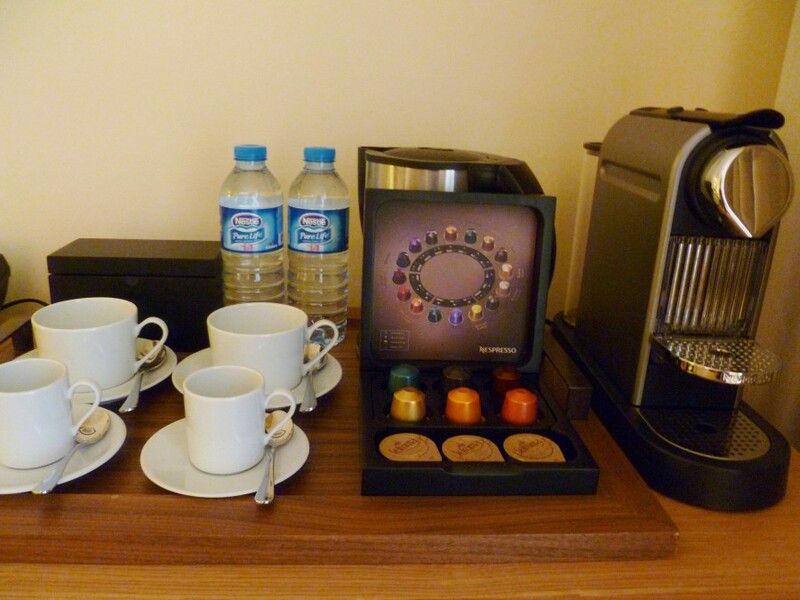 There was a Nespresso coffee maker with water supplied for making coffee. 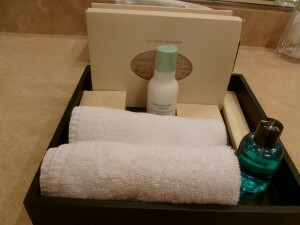 I chose to receive no amenity for our stay, however, we did receive two bottles of water daily as well as turndown service each evening. 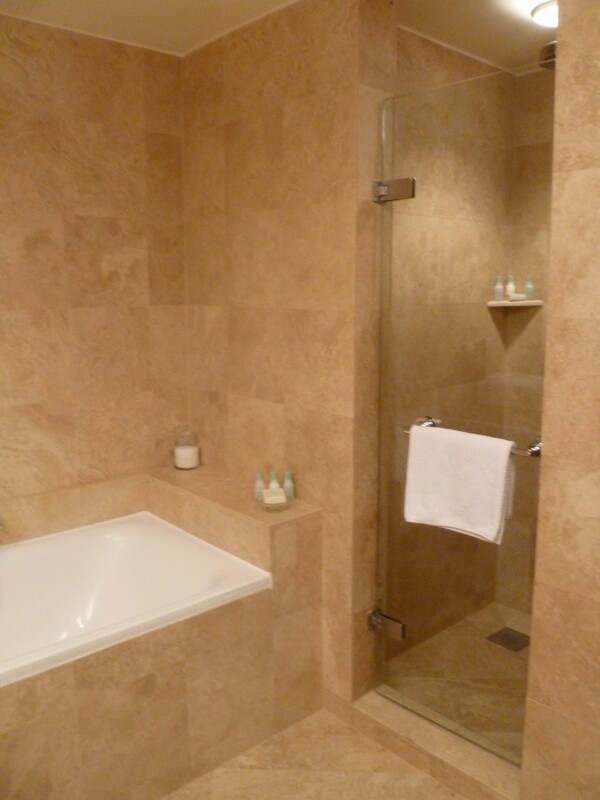 The marble tiled bathroom was large with a lovely luxurious feel to it. Any hotel that still provides a bathtub receives high marks in my opinion because there is just nothing better than a long soak in a tub after a day of sightseeing! 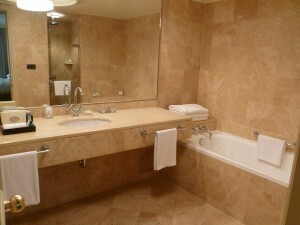 The bathtub at this Hyatt was spectacular and also had a glass enclosed rain shower. 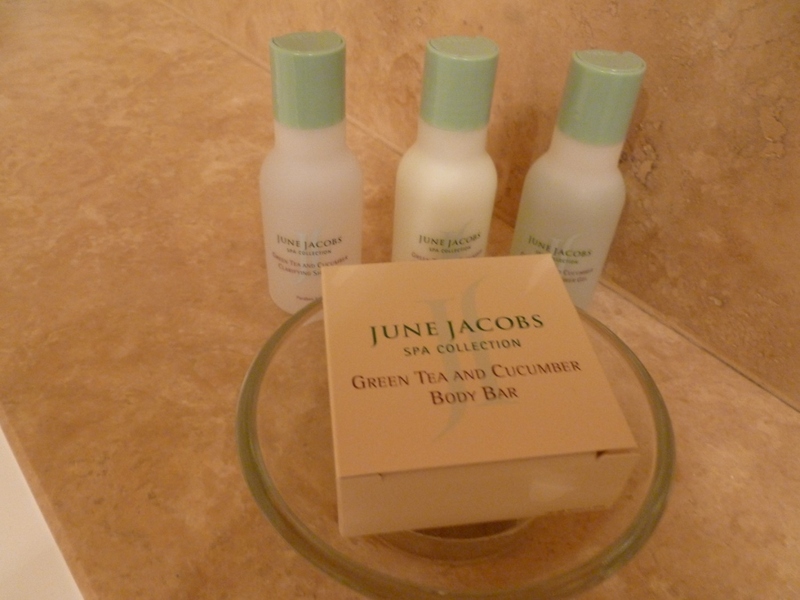 The amenities provided were from the June Jacobs Spa Collection, Green Tea and Cucumber, one of my personal favorites of all hotels. The collection is made from the best botanical ingredients around the world using a blend of antioxidant white, red and green tea extracts. They smell delightful and are a huge step up from the awful Portico products which have just recently been replaced by Hyatt. The June Jacobs amenities are provided in all of the rooms at the Grand Hyatt and not limited to the suites. 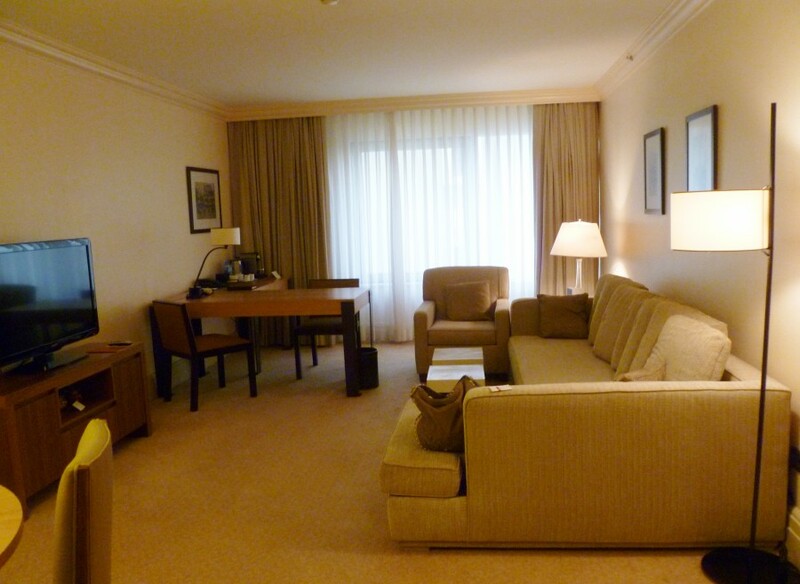 The bedroom was large and spacious with a view towards the Bosphorus. The bedroom also had a flat screen TV, a chaise sofa, and room darkening curtains. The minibar is located in the television credenza in the bedroom as well and contained an assortment of beer, juices, and snacks. Overall, the bed was extremely comfortable, and the suite was lovely – spacious, airy and quite pleasant to relax in during the evenings. 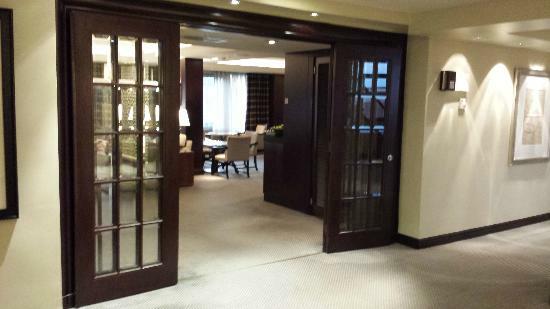 The Grand Club is located on the eighth floor of the hotel. 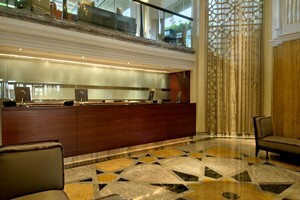 The area outside the club has a dedicated concierge, a seating area, and a business work area. 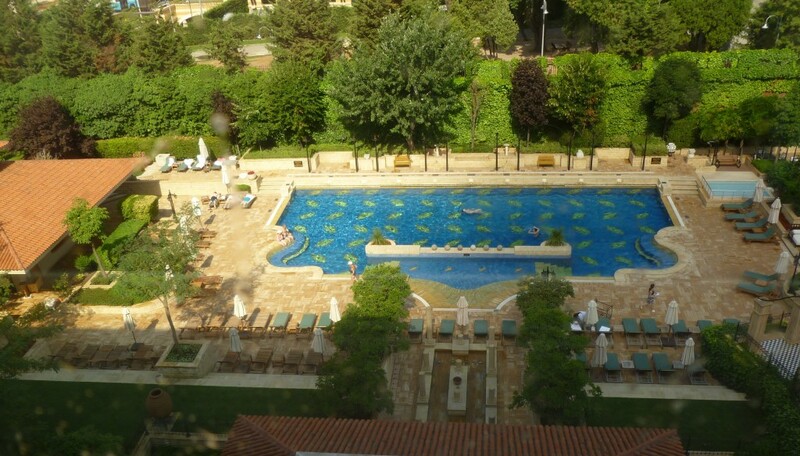 The Club itself is windowed along the entire outside wall and overlooks the pool area and the park adjacent to the hotel. On two of the evenings that we were there, there were large, catered events taking place at the pool area. At breakfast the buffet was set out with pastries, yoghurts, cereals, breads, sliced meats, fruits and juices. 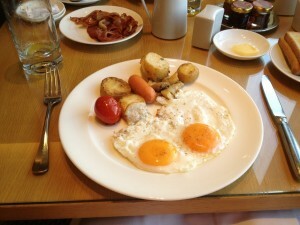 Typically, though, we chose to order from the breakfast menu and enjoyed a delicious hot breakfast each morning. We had a choice of eggs fried, poached, or cooked in an omlette with sides of potatoes, bacon and/or sausage. The Club waiters and waitresses were incredibly attentive and helpful. In fact, I believe the wait staff in this Club is one of its highlights. They were always smiling, cheerful, and willing to help with directions and information about Istanbul. 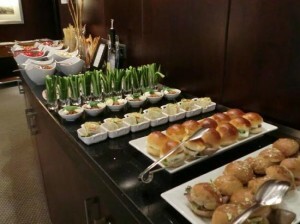 In the evenings the buffet included sandwiches, crackers and breads, various cheeses, olives, and fruit. 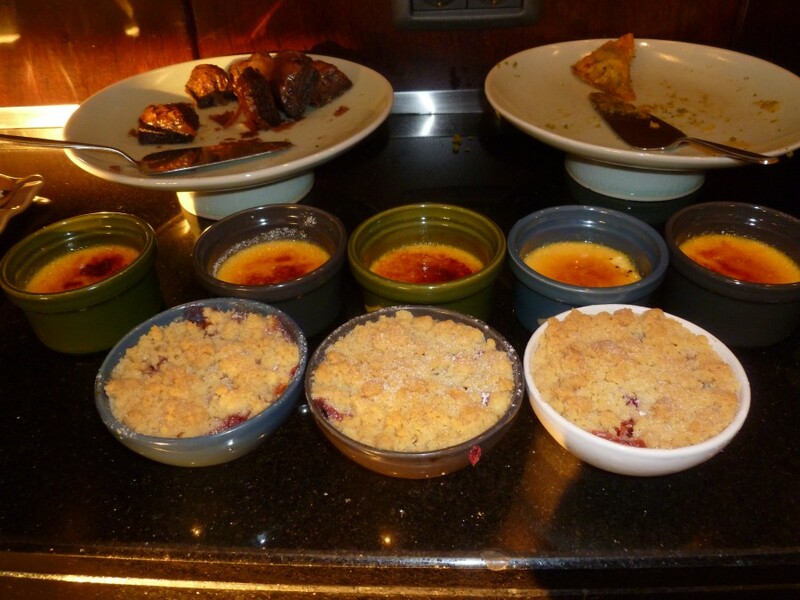 The dessert buffet varied from evening to evening but included everything from crème brulee to tangy tarts and Turkish sweets. 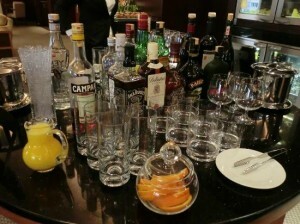 The drinks included various types of coffees, juices, sodas, water, and alcoholic beverages. There was no additional charge for the alcoholic beverages. One of the reasons I value my Diamond membership with Hyatt is the access provided to the clubs and lounges at their properties (when available). 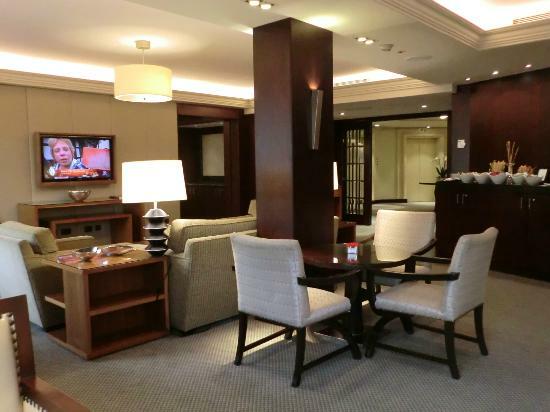 If you don’t have Hyatt Diamond membership, access to the clubs can usually be obtained by booking a room on the Club floor or paying a daily fee. I wish I had taken more photos of the Club, because the offerings here were really spectacular. Unfortunately, my camera battery died on the second day there and, believe it or not, I was unable to find a charger after visiting several electronics shops in the Taksim area. 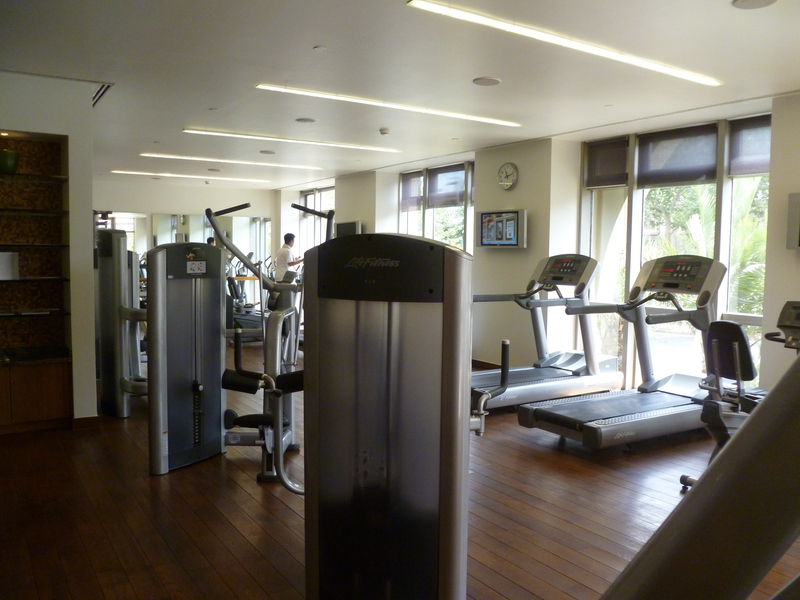 The Grand Hyatt is also home to the Gaia Spa and Fitness Center. 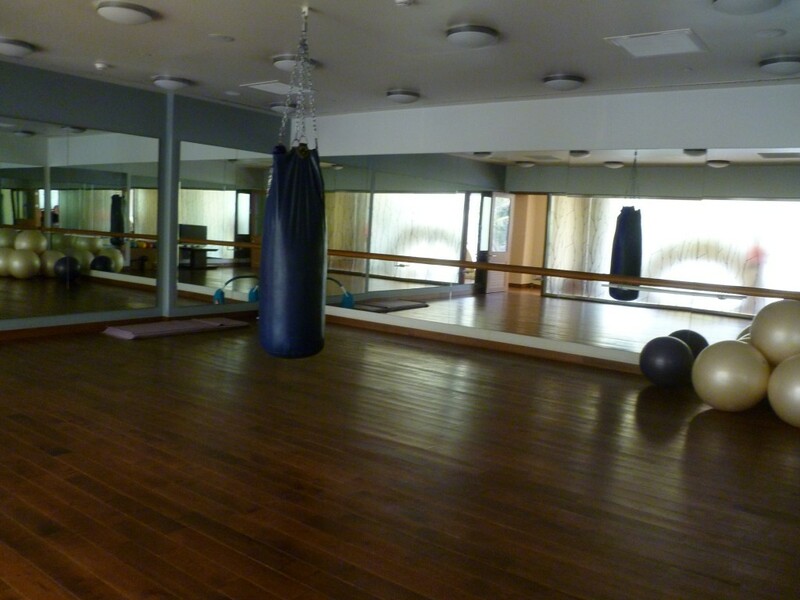 The spa consists of four treatment rooms, a fitness studio, and an exercise room for yoga and Pilates classes. There is also an authentic hammam for those wishing to experience a Turkish bath. 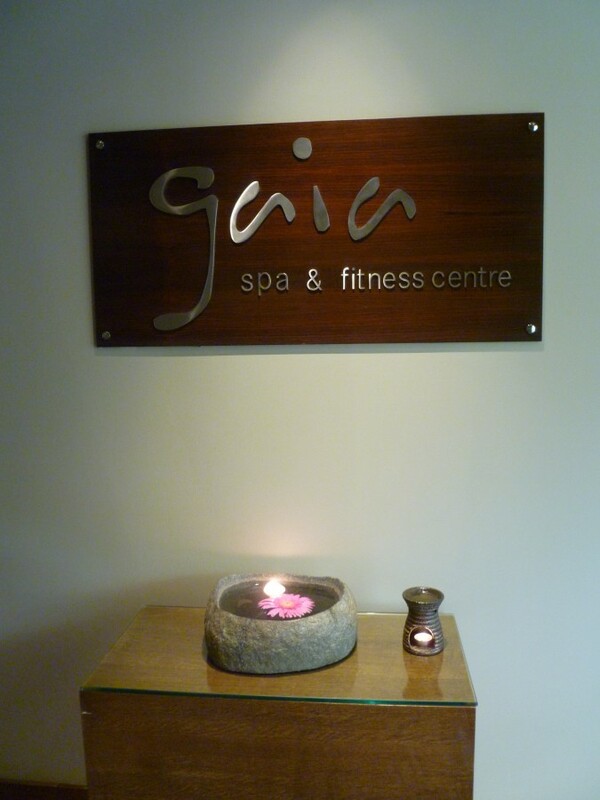 The spa treatments include massage lasting from 30 minutes for a back massage to 90 minutes for full massages. The prices range from 200TL (about $103.00) for a one hour massage to 290TL (about $149) for a 90 minute massage. The 30 minute back treatment is 140TL (about $72) and the 45 minute foot massage is 170TL (about $82). The Spa also offers facials and body treatments. Although we did not take advantage of the Spa area, it is more than adequate for anyone’s needs while traveling. I did visit the hair salon located on the ground level near the entrance of the hotel and was served by no less than five individuals while I was there! 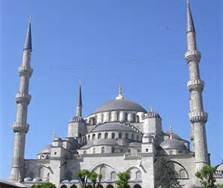 The last time I visited Istanbul, I flew Turkish Air First and transportation to my hotel was provided by the airline. This time, I arranged for a car transfer with Suntransfers. I booked online and received the confirmation email in minutes. The driver was waiting for us as we exited Customs and Immigration and we were driven to the hotel in a Mercedes SUV. The driver was pleasant and his English was excellent. He was also our driver on the return to the airport four days later, arriving early for our 9:00 a.m. pickup. I would highly recommend the SunTransfer service. Overall our stay at the Grand Hyatt was wonderful and I believe the Club, Pool area (which we did use one day), and Spa to be very strong offerings at this Hyatt property. And I don’t know how Hyatt does it but they always seem to find the best staff in the world! The Concierge, assistants, bellmen, and wait staff at this property were stellar! In whicarea of Istanbul do you either plan to stay or typically prefer to stay? Playing Games with Hyatt: Are You In? 8 Comments on "Grand Hyatt Istanbul – Review"
Thanks for posting. 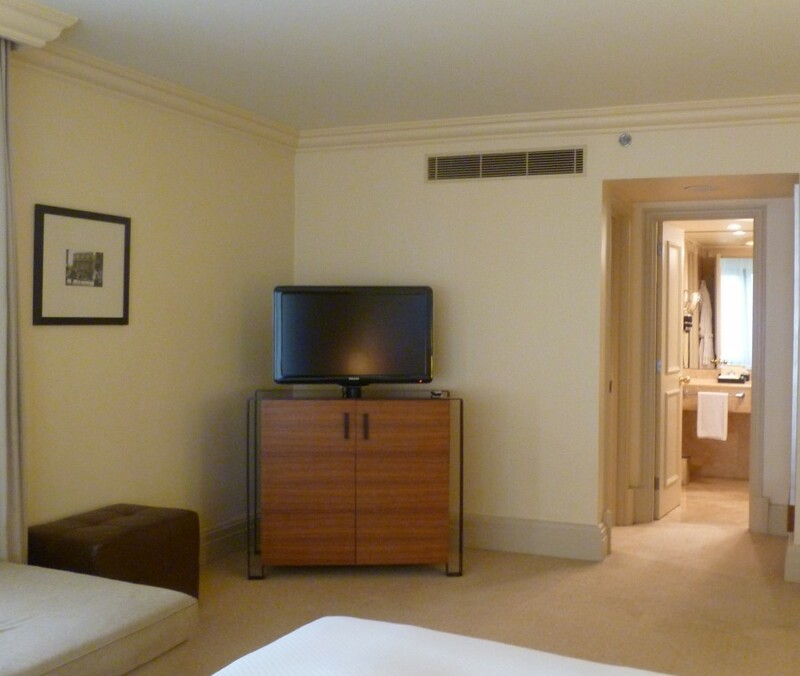 We also stayed at the GHI corner suite but on the 8th floor in mid-July. Fully agreed the club lounge was the highlight of our stay experience as well. One of the best benefits, for sure! We must have just missed each other by days! When I stayed there last summer, they didn’t have hot breakfast items in the lounge and all they offered in the evenings were biscottis and cookies. Looks like they made huge improvements! I also think the rooms never turn out as well in pictures as they actually are. Based on what I saw on tripadvisor, I was expecting dark, plain looking rooms, but that wasn’t the case at all. Perhaps another trip to Istanbul is in order then! I will be there in October! I hope I get as good a room as you did. This post made me decide to switch to the Hyatt for this trip. Thanks for posting, you are the best! I think you will enjoy your stay there very much! When using the Suntransfers site, which “resort” did you choose to get you to the Grand Hyatt? I’m staying there in November, and will use the service too! 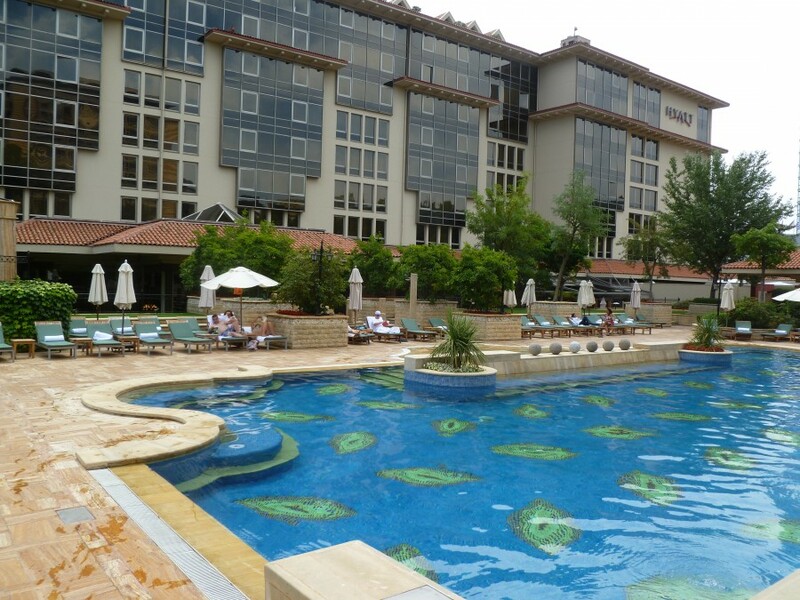 Hi Rich – when I used Suntransfers, I just chose Taksim as the Grand Hyatt is located in the Taksim area. 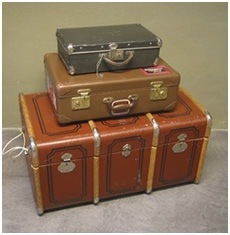 I believe an option will also appear for you to type a note as to which hotel you will be traveling. I was very pleased with the service and appreciated that we had the same driver coming and going.